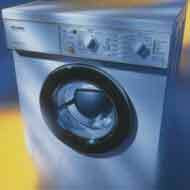 At Commercial & Domestic Appliance Repairs, we offer you what you need. Whether its a nursing home, hotel, residential home, laboratory, school, or just a faulty washing machine at home, we'll give you the same first class service. Whether on a contract or non-contract basis, C&DAR are able to supply and install your choice of electrical equipment. 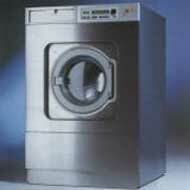 Based on your needs, we'll recommend and quote for the most suitable appliance. We can also provide plans of how your new equipment will fit in. C&DAR are agents for Miele, and as such we are able to supply Miele equipment at highly competitive prices, and offer leasing terms for most Miele appliances. In addition, we can also offer breakdown insurance on your new Miele Professional machines for up to four years. See our extensive Miele pages for details on the full range of Miele equipment. We also offer free delivery anywhere in the UK on new Miele Professional appliances. C&DAR will also maintain and repair existing electrical equipment on-site, and we are able to offer full PAT testing facilities. Whatever brand or model you require, C&DAR can supply to anywhere in the UK. We'll be able to give you a quote however big or small the job. Operating out of Walsall, West Midlands, C&DAR also repair domestic appliances within the Midlands region. Contact us for details of how we can repair faulty equipment in your own home - washing machines, vacuum cleaners, tumble dryers, and more. Check through our Miele section for domestic appliances that are second to none. Please see our Contact page to request further information.